The “Vietnamese Venice” is integrated with a plethora of canals and is known for it’s melting pot of culture and history, demonstrated in its diverse architecture. In our cooking classes, you will find the sundry of Vietnamese cuisines reflected in the food that you cook. We offer classes on general Vietnamese food, where you can take a bicycle or boat tour through the canals to further explore the dynamic city where the cuisine you will be cooking was created. Some of our cooking classes offer you to take a trip to the local market to collect your ingredients. We even offer specific niche classes, for example you can learn how to master pho, or choose to pick fresh herbs from a garden to incorporate into your cooking. The package was fun and informative. We enjoyed all of the many activities. Our guide was very friendly and we learnt a lot about the Vietnamese way of life. A highlight for my daughter was the water buffalo interaction. She loved him and we were allowed plenty of time to ride and pet him, not rushed on at all. The cooking was fun and food delicious. Will be recommending this tour to everyone. The whole experience with nhu and her team was fantastic. Going through the market and lovely boat trip, before a delightful foot massage and drink surrounded by orchards over looking a koi pond really set the scene. The cooking class was so much fun and the food absolutely delicious. Would highly recommend this to everyone. "Nhu took us on our cooking class. She was absolutely fantastic! !i would rate this tour 10/10 ." I so thoroughly enjoyed this tour and Nhu was such a fantastic tour guide and cooking teacher. She was patient she explained each step in the cooking class well and was such fun to be with. Nhu has a great sense of humour! I’m so proud I learnt how to cook 4 Vietnamese dishes. Thankyou Nhu for such a fun filled and very informative day. 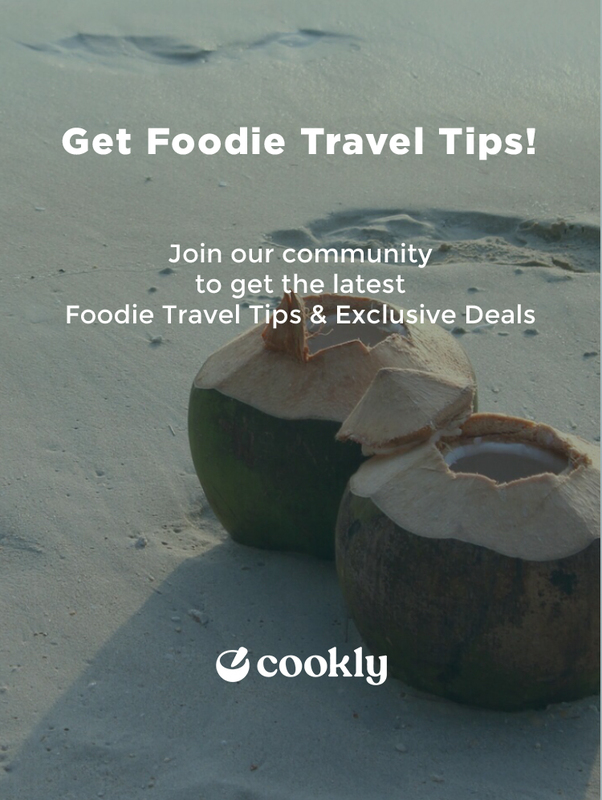 Cookly is lucky to have you on their team! "Amazing! From the lock-up to drop-off everyone was super friendly and I learned so much about Vietnamese cooking." The cooking was fantastic. We are very much enjoyed Sarbirama Class. All the team are kind & well organized. We made local dishes & enjoyed after cooking. We also visited local market & learned many ingredients. Transportation(pick up & drop off) was smooth as well. Buffalo & dogs are very friendly. Our guide, Nhu did very good work. Definitely I will recommend this class when you visit Hoi An. We cannot say enough good things about this experience!! We ended up getting a private cooking class, and our guide, Trang, was wonderful! She showed us local foods they grew on the property, was very fun and personable, explained each ingredient individually, and her English was phenomenal. The food was some of the best we have had in Vietnam, and we are so thankful we had this experience so we can attempt to replicate some of the meals at home. Trang even wrote down our email so she could send us the recipes! I highly recommend this class to anyone visiting Hoi An! "Great cooking class under the supervison of Tintin"
This is an awesome experience for us. We chose this package as it includes market tour, bamboo boat ride, buffalo ride, massage and of course the cooking! Highly recommended to those who want to further appreciate the Vietnamese culture. We don’t cook but the guide (her name is You) is so encouraging and patient with us, we did 4 Vietnamese dishes! Enjoyed the entire experience! "Informative and relaxed our guide was lovely it was great for foodies like us i totally recommend it and worth the money thankyou so much"
What a great day from the informative market tour and leisurely boat ride to the yummy cooking class and learning about the family. Thom was wonderful and it was a pleasure spending the day with her and our group. Can’t wait to try the recipes at home. It was good that each of us had our own cooking station and we eat what we cooked. The venue was lovely and meeting grandma was a nice touch! The whole process of making rice crepes was an eye-opener. So much work, skill and time involved in cooking each delicate piece! Overall great fun and an interesting day out. I would also like to commend the cooking instructor as well. She was charming and very knowledgeable about the use of local herbs. "Excellent, well organised and very clean!" We did the 4-7pm which was perfect as what you cook becomes your evening meal, the venue was very clean and the food cooking experience all hands-on with people taking things in turns to prepare the whole meal. Would highly recommend. Pickup from the hotel and a short boat ride into the venue is included. All the food was very fresh and lots of it so arrive there hungry!! "We loved it so much!" Recommend very much, we had a great time cooking traditional dishes. At the end we were so stuffed that we had to roll out of the house! We enjoyed the cooking class very much! Nice tour at the market, learned a lot from our guide Tranh, who was very cheerful, helpful and kind. Great short boat trip to a peaceful place, great cooking class. Perfect experience! "Fantastic class that I would highly recommend"
Trang was a terrific guide and teacher. I would highly recommend the morning market tour and boat ride if you are eager to learn about how Vietnamese people buy and cook their food.